USB flash drive is a miniature and high-capacity portable storage product, which is using USB interface without physical drivers. It can be connected to a computer through USB interface and realize plug-n-play. Compared to other portable storage devices, USB flash drive features with abundant of advantages. It does not occupy much space, operating speedy, store numerous data and performs reliable. USB flash drive has another superior feature that if you disconnect the USB drive when you read and write on it, the device won’t be damaged but only causes data loss issue. Such lost data can be restored just like the accidentally deleted files. But if you add new files into this USB flash drive, the recoverable data will be overwritten by new files. Therefore, if you lost data from USB flash disk, be attention not to write new files on your USB flash partition. No matter how much care you take to avoid data loss from your Micro SD card, there are always that and other reasons causing loss of data. They are human reasons and non-man made cause. - Unpremeditated delete files from USB flash drive and can not find them in the recycle bin. - Eject the USB flash drive rudely when the it is still at work, or forget to disconnect the drive when the computer shutting down. - The USB flash drive is attacked by Malware and virus coming form the computer. How to Recover Deleted Files from USB Flash Disk? Searching for a professional USB recovery program to recover lost and deleted data from USB flash drive as soon as you find the data loss is a wise choice. But how to judge what is a good USB recovery tool? A competent USB recover tool must feature with fast recovery speed, easy to use interface, affordable price and read-only performance. Also, you should choose the one which can provide you with preview ability so that you can perform the recovery process accurately. 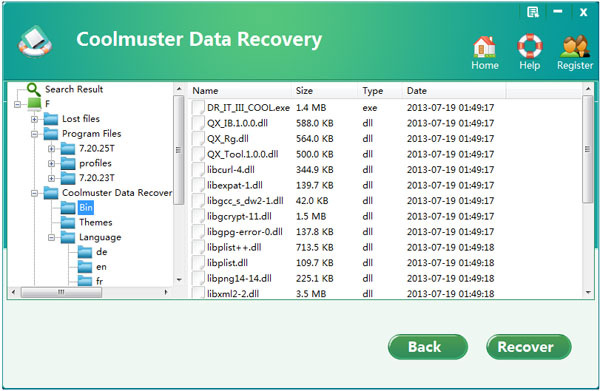 Coolmuster Data Recovery (for Windows 8/7/XP) or Data Recovery for Mac is such a USB recovery tool with all above conditions are met. It can help you recover 500+ file types, such as photos, videos, music, PDF, Word, Excel, PowerPoint, ZIP, and many more from USB flash drive due to deleting, formatting, virus infection and other reasons. Almost all USB Flash Drive brands can be supported by this USB recovery tool, including SanDisk, Kingston, Transcend, Corsari, HP, Sony and so on. And you can also use it to recover deleted files from digital camera, external hard drive, Mac machine even after a system restore. First of all, you should connect your USB flash drive to computer and free download to get the installation package from above buttons according to your system. Double click the installation package of the software to install it on your computer. Run it by clicking on the program shortcut and then there are four recovery modes available for you to choose one mode you need. Here we take Windows version as example. The operations in Mac version are similar. The program will detect all the partitions and drive letters. Then, you will see your Micro SD card showing among all the drive letters. Highlight it and click "Scan" to scan for your lost files. After the quick and deep scanning, all of the lost data will be scanned out and organized in categories. You can preview the files by unfolding the category one by one. 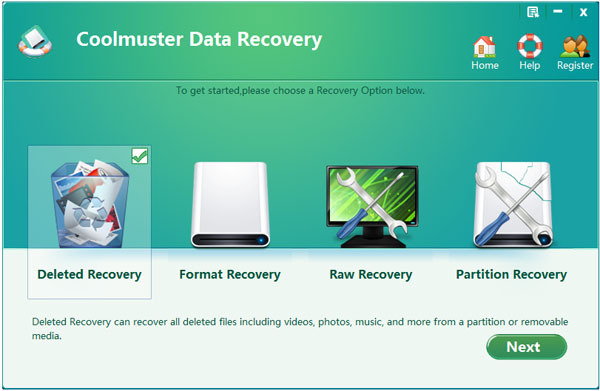 Select the files you want to recover and the program will ask you to specify a location to save your recovered files. Just choose an output directory and click the "Start" button. 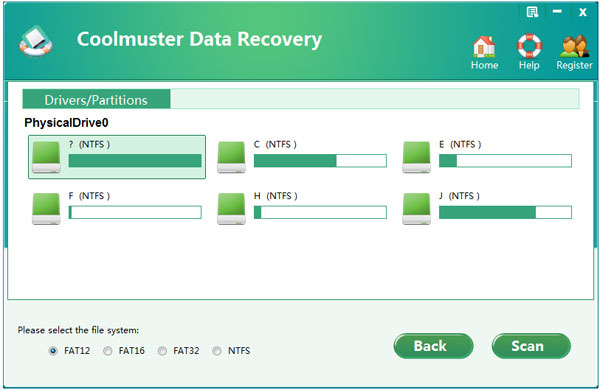 Then, The USB data recovery software will automatically save the recovered files to the destination you specified. Additional Knowledge: How to Extend the Life of USB Flash Drive? - USB flash drive has a working status indicating light. If you see the light is flashing, it means the drive is working. It is strictly prohibited to unplug the USB flash drive under the state of reading and writing on the drive. - Some brands of USB flash drive reserve less space for file allocation, which brings errors when you copy multiple small files. You’d better compress these small files into one single large file. - The storage principle of USB flash drive is quite different to hard disk. So, do not perform defragmentation, otherwise, the usage life of your USB flash drive will be affected. - When you insert your USB flash drive into the computer, it is best to perform anti-virus on it. - It is better to do USB flash drive virus immune on a newly bought drive, which can effectively avoid the drive from being poisoning..
- Do not insert the USB flash drive into the computer before the computer is launched, otherwise, the computer will not boot up properly.